UGN, Inc. was founded in 1986 as a partnership between Nihon Tokushu Toryo Co. Ltd., (Nittoku), and Autoneum Holding AG. 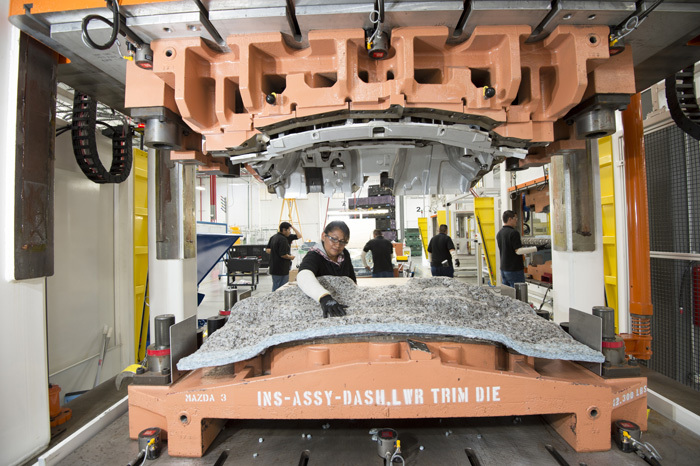 We are the preferred producer of high-quality acoustic, interior trim, thermal management products, and a recognized leader in customer satisfaction for the Japanese transplant automotive industry in North America. Since 2002, our leader, Peter Anthony, has reconfigured the manufacturing strategy to enhance profitability and lower cost. He has also aggressively applied Toyota Production Systems throughout the organization to create a culture of continuous improvement and standardization, resulting in material, labor, and overhead savings. Company culture is the DNA of an organization. It motivates and guides us to accomplish our mission and vision in a manner that treats our customers and fellow Team Members with the highest regard for their success and well-being. We call this The UGN Way. It is based on building and demonstrating respect and trust while communicating effectively in everything we do. Sustainability: UGN regards protection of the environment as paramount and endeavors to maintain its ISO14001 certification. UGN is committed to minimizing waste through reducing, reusing, and recycling. Education: An organization’s Team Members are its most important asset. To ensure the continued growth and development of our Team Members, UGN offers learning and development opportunities through UGN University. UGN University provides Team Members with a common shared vision of the organization, its core values, and its culture, while enhancing their technical and leadership skills. UGN University’s mission is to support Team Member development through innovative online learning, classroom, and on-the-job training. 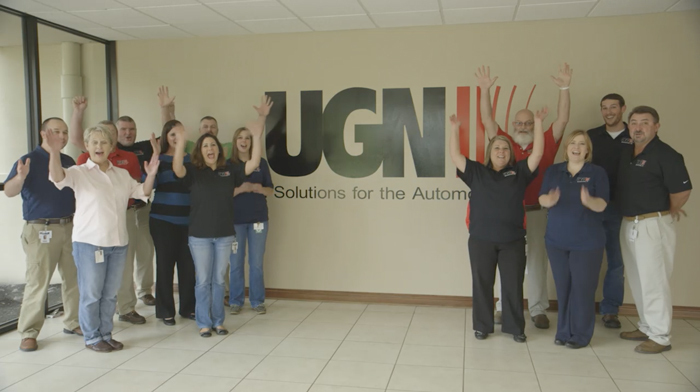 Our team members are the source of the UGN difference. They possess a broad range of experience, a highly diverse skill set, and a shared sense of commitment. UGN encourages team members to take part in crafting the UGN culture. It is this culture that drives UGN forward. Front of the Chicago Heights building as it appeared in 1987. 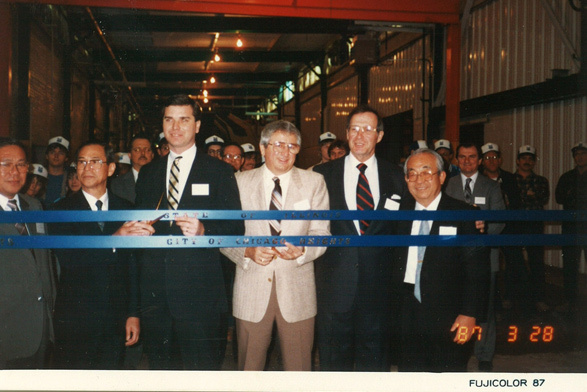 L to R: Unknown, T. Nakanishi, Jay Hedges, Charles Panici, R.A Christopher, Mr. Fuji (of Fuji Heavy Industries). 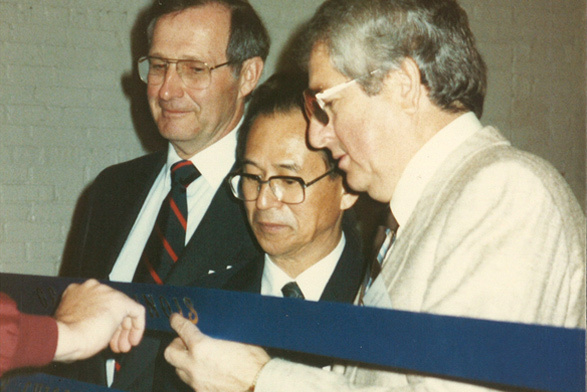 R. A. Christopher, T. Nakanishi, and Charles Panici preparing to cut the ribbon. T. Nakanishi and R. A Christopher shaking hands in front of the projector screen in the front office of the Chicago Heights building. Unknown, T. Nakanishi, Jay Hedges, Charles Panici, R.A Christopher, Mr. Fuji (of Fuji Heavy Industries). All things start with a small seed, as did this ever-growing joint-venture company. 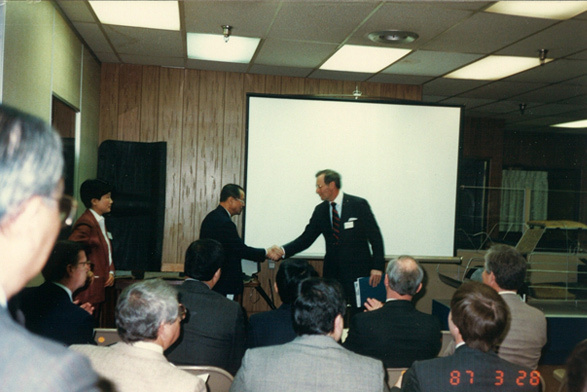 The conception was in December of 1980, when the CEO of Globe Industries (Robert Christopher) was invited to Japan to meet with the purchasing departments of Honda, Nissan, and Toyota. The reason? 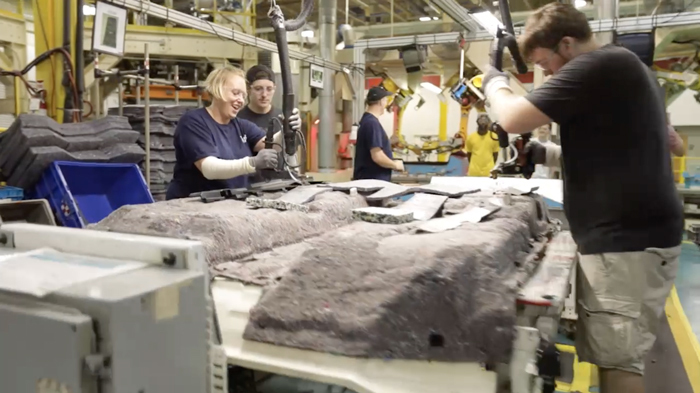 Those three companies were set to build automobile manufacturing plants in the United States, and would need suppliers of acoustic­ sound deadening materials. The major supplier of these products in Japan was the Nihon Tokushu Toryo Co, Ltd. Mr. Nakanishi, the owner and president of Nihon Tokushu Toryo Co, Ltd., was asked to recommend an American supplier. Sharing an acoustic technology agreement with a European company, Nihon Tokushu Toryo Co, Ltd. and Globe Industries were on common ground so it made sense for Nihon Tokushu Toryo Co, Ltd. to partner with Globe to create UGN. 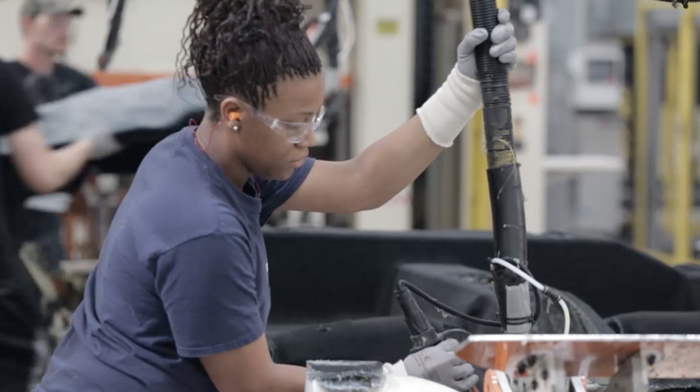 After a stringent review, Chicago-based Globe Industries began to supply dampeners, absorbers, and barriers to Honda in Marysville, Ohio, and then the others as their plants became operational. As demand grew each month with the post­ recession of 1979-82, the demand in America burgeoned for automobiles. It was apparent an additional plant would be required to meet the ever-increasing sales of the Japanese manufacturers. 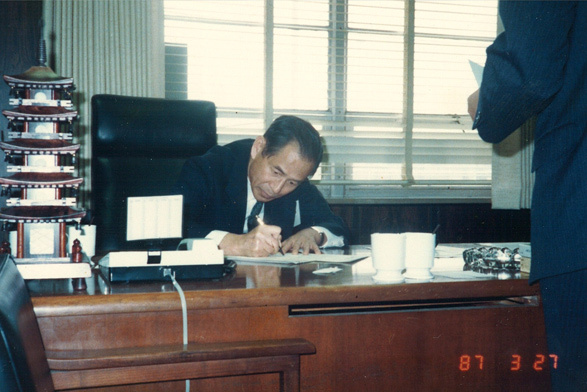 The gestation period of the December 1980 conception was over…the joint venture was at last birthed by two very cooperative parents: Nihon Tokushu Toryo Co, Ltd. and Globe Industries. Globe Industries provided an empty industrial building in Chicago Heights, Illinois, and the installation of manufacturing equipment was underway. Car floor pan dampers were the first product, followed by foam composites, cotton molded absorbers. 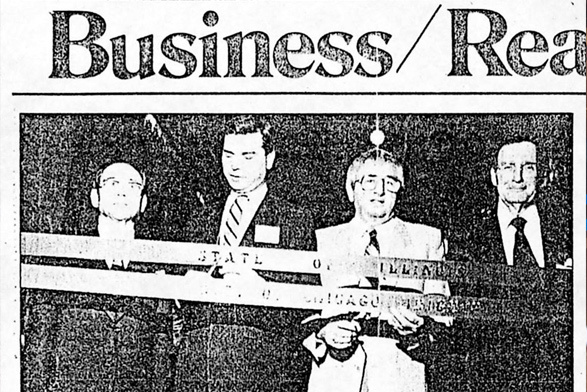 After production had progressed, an official ribbon cutting was scheduled with local government officials and interested citizens attended the gala event on March 27, 1987. From the start, the venture was profitable, with sales increasing each month. 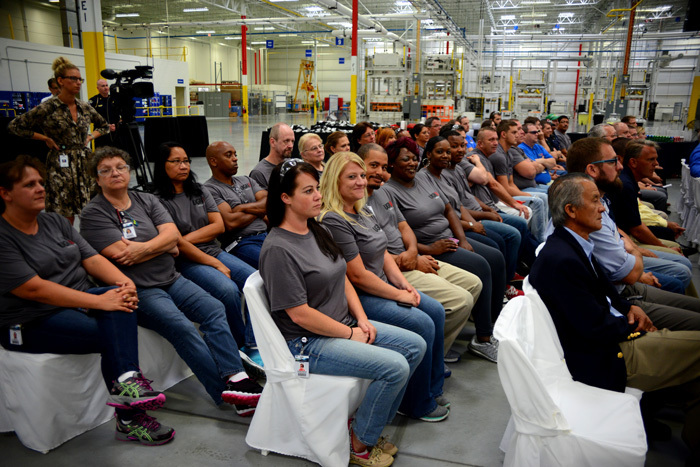 Soon Toyota and Nissan had operating plants in the U.S., supplied by UGN. As other products were being needed by the Japanese plants, a second operation was commenced, named after its parent, UGN II. It made headliners and package trays. 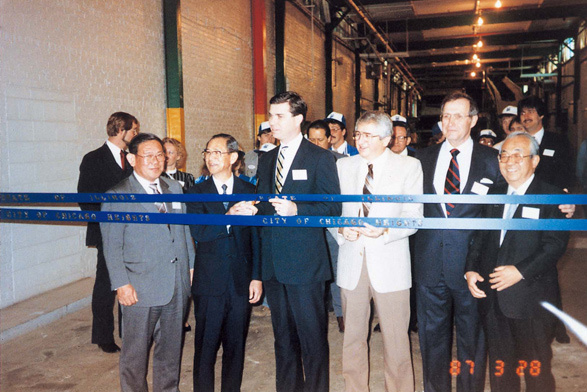 One important benefit of the creation of UGN was its employment of approximately 350 associates at the Chicago Heights location and 90 at UGN II the company was a good neighbor bringing not only jobs to previously high-unemployment areas, but many services and materials were purchased from local businesses. UGN was managed by a board of directors consisting of five members from Nihon Tokushu Toryo Co, Ltd., and five from Globe Industries. 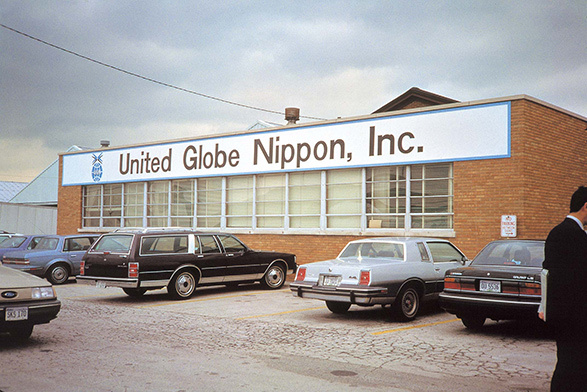 The Globe CEO was the UGN president from 1986-95, with manufacturing managed by Jim Christopher, marketing by John Christopher, and Peter Anthony as lead salesman. It was Peter who did much to build the image of UGN with its customers. His diligent and effective work led to him being elected president and CEO. Under his direction, UGN continued to grow, adding plants as the business grew. 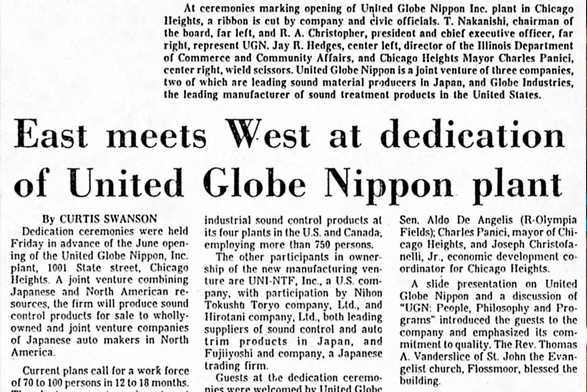 In 1995, Globe Industries and its 50 percent ownership of UGN, owned by Kingdon Gould and Robert Christopher, was sold to Rieter Holding AG, a major acoustic products supplier in Europe. The new partnership of Nihon Tokushu Toryo Co, Ltd. and Rieter Holding AG—now known as Autoneum—helped the company continue to expand and diversify. And, as the drumbeat of the company that started with a hurried trip to Japan in late 1980 continues to beat, what of its originators? Mr. Nakanishi, the man with the original vision and his able assistant, Mr. Suzuki, have both passed on, but helped leave a lasting legacy of jobs, dignity, and useful work. The Americans, Kingdon Gould, and Robert Christopher, spend their time today in charitable work. To remain ISO 14001 certified, UGN protects the environment, an obligation to this earth we share with our customers, suppliers, team members, and the public. 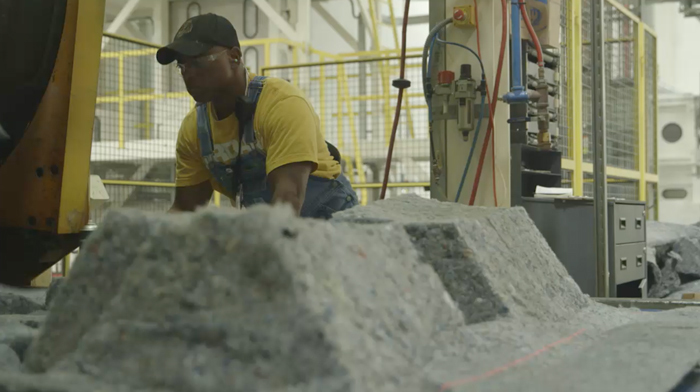 Our customers work to promote and achieve reduction in greenhouse gas emissions, which drive the use of lightweight materials composed primarily of recycled materials. This, combined with continuous improvements in the products and processes, allow positive movement for customers and the environment. As well, a rigorous environmental policy provides procedures to handle and transport all hazardous substances and to minimize waste through reducing, recycling, and reusing. Suppliers and contractors also comply with all local, federal, and state requirements, and are willing to partner with other suppliers to promote a greener future. The enrichment of our environment comes together with customers and suppliers. Through the core values of trust, respect, and communication, UGN strives to positively affect the lives of our Team Members where they live and work. The culture is built to inspire everyone toward excellence in their communities, through service. Our commitment to these core values has led to numerous awards, community involvement, and recognition. When Peter Anthony joined UGN as a sales and marketing manager in 1992, he had a vision. He knew UGN had a great brand name and innovative technologies but it needed to diversify into products that complemented the core business. Just 10 years later, he took the helm as its chief executive and today the nearly half a billion dollar business has realized that vision and more. 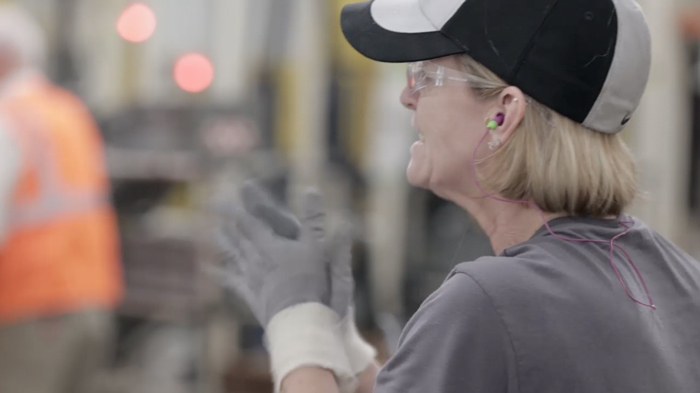 One that creates careers—not jobs—for team members, exceeds customer expectations, and increases shareholder value while creating one of the best suppliers in the industry. 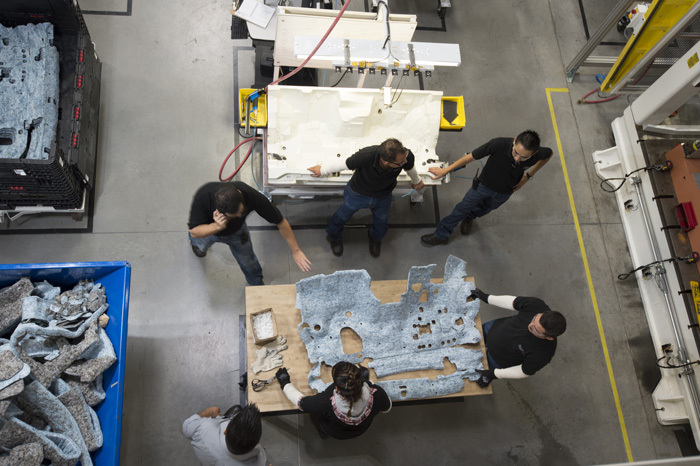 With four manufacturing facilities in the U.S.—and a fifth in Mexico—a technical office, a research facility, and corporate offices in three additional cities, UGN boasts eight-figure investments into the communities in which they operate. 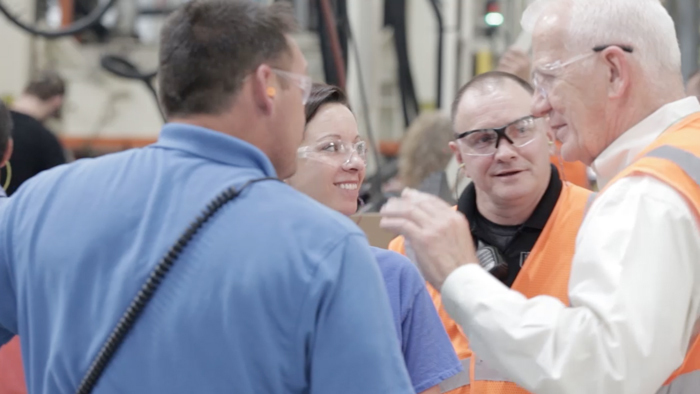 He has led the opening of five new plants and, because of that, has created hundreds of jobs throughout the years, even laying claim to major expansions during down economies. As well as opening new plants and creating new jobs, Peter has initiated the strategic sale of one manufacturing plant to re-engineer the business and provide even more stakeholder value. 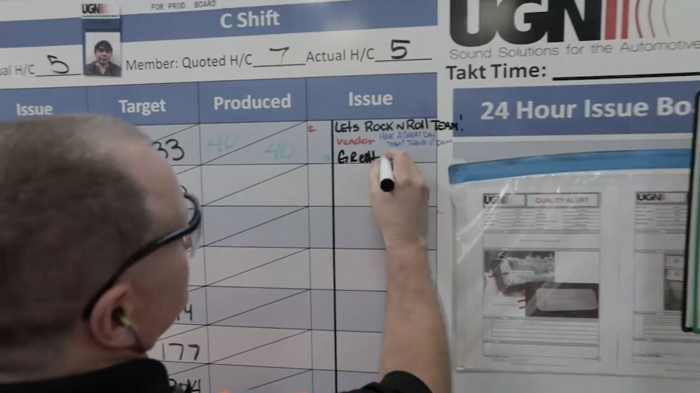 His drive to embrace the Toyota Production System as the foundation of the UGN business model has resulted in maximum productivity and efficiency and has allowed the organization to better train team members for longevity. 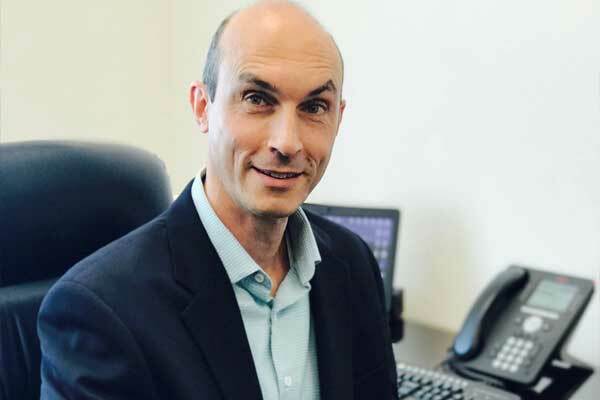 He hosts take-out lunches in every UGN facility to share financials, discuss where the organization is against goals, and answer team member questions, which fosters a sense of transparency and trust. Team members are always aware of what’s going on at all levels. Many times, thoughts or suggestions from the meetings result in changes which make UGN stronger. It’s the UGN Way. 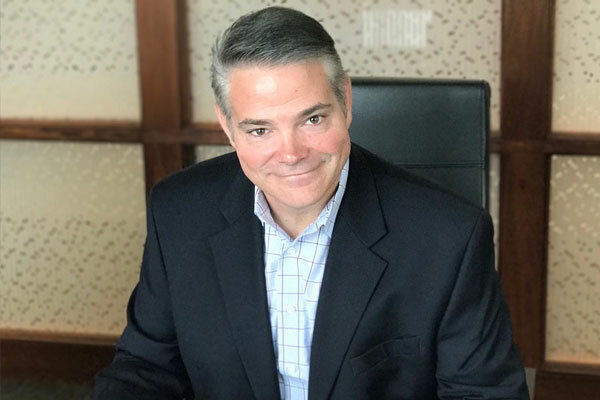 His overall strategic planning for acoustic and interior trim for the Japanese transplant automotive industry in North America has allowed him to provide his executive leadership across the entire organization and around the world. A career like Peter’s clearly demonstrates a powerful combination of independent thinking, perseverance, and high standards. At the heart of his achievements is his ability to maintain strong business relationships, anticipate market changes, experiment with new organizational structures to maximize team member growth and potential, and to always be on the lookout for organizational cost savings, such as sourcing and eradicating bottlenecks. These all ensure UGN remains a highly profitable enterprise and an industry leader in the delivery of innovative, state-of-the-art automotive products. Peter is a three-time finalist for the Ernst & Young Entrepreneur Of The Year™ Award Midwest and was recognized as one of Crain’s Chicago Business 40 Under 40. He is a past board member for Make-A-Wish Foundation of America and is past-chairman of the board and board member emeritus for the Make-A-Wish Foundation of Illinois. He also sits on several outside for-profit boards. 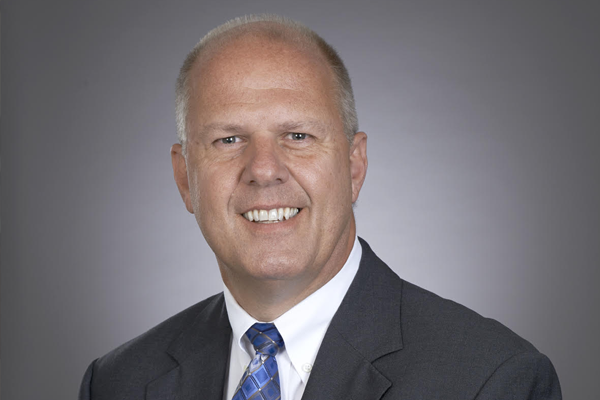 He is a member and past-president of the Bluegrass Automotive Manufacturers Association (a Toyota Production System independent forum), a member of the Economic Club of Chicago, and a member of Vistage International. Vice President of Product Development As the Vice President of Product Development for UGN, Emmanuel Reymond is responsible for strategic planning across Product Lines, With his team he supports programs all along development, leads NVH and design activities, as well as Product & Process validation, leads cost reductions actions, and ensures strong customer technical contact. He has more than 20 years of experience in product development, and is best known for his ability to drive significant technological advancements and market innovation aligned with business goals. Emmanuel joined UGN in 2010 as a Product Engineering Manager, managing product lifecycle from design and prototyping through validation, engineering, launch, promotion, and adoption into customer accounts. Before UGN, Emmanuel worked with Autoneum in France, where he was technical sales manager for Japanese and Korean transplants in Europe. Prior to that he worked for Nihon Tokushu Toryo (Nittoku) in Japan as technical liaison manager. Altogether, he has spent almost 20 years within the Autoneum-Nittoku-UGN alliance. Emmanuel has an undergraduate degree in engineering, materials and physics, from INSA Lyon, and earned his MBA from the Paris School of Business. Darrell Cook is the vice president of continuous improvement at UGN, Inc., and has more than 18 years of experience at the company. He joined the team in 1996 and, by 1998, joined the company’s executive team as vice president of quality and training. 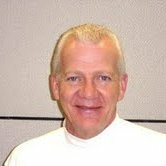 During his tenure with UGN, Darrell has been responsible for the certification of the company to the QS9000 quality standard, the development of UGN University, management of the quality engineering and program management functions, and he has served as interim plant manager at two UGN manufacturing facilities. Before joining UGN, Darrell worked at Hella Electronics Corporation as the manufacturing manager and training coordinator, and he was production manager at a small manufacturing plant that provided interior trim and components for the recreational vehicle industry. Darrell obtained his bachelor of arts degree in education from Mid-America Christian University in Edmond and spent several years in the educational field of curriculum and design and lead workshops. He has completed additional studies at the University of Illinois at Urbana-Champaign, as well as graduate work in personality profiles and education at Anderson Theological University in Anderson, Indiana. As he continues his education, he has obtained certificates and studies completed, such as Toyota Production System, electronics engineering, statistical engineering, architectural engineering, Six Sigma, Certified Quality Auditor, and lead auditor certifications in QS900, TS16949, and ISO14001. Darrell was the chairman of the education committee of Bluegrass Automotive Manufacturers Association (a Toyota Production System independent forum) from 2011-2013 and has been a member for 10 years. Vice President of Product Development and Engineering Nicolas Leclercq is the vice president of product development and engineering for the UGN North American manufacturing facilities. He joined UGN in 2009, after spending more than 15 years at UGN parent companies in Europe, the U.S., and Japan. 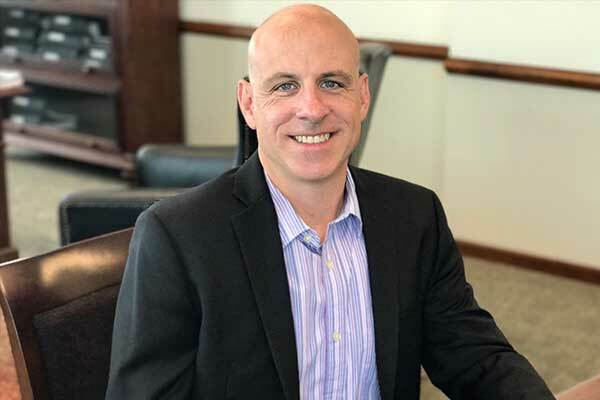 He was transferred to the corporate offices in Tinley Park, Illinois, to develop product innovation and local engineering and development capabilities and further reinforce the strong relationship with the parent companies thanks to his extended internal network. His responsibilities include long-term product strategy, partnering with sales and marketing, and management of technical customer pre-development and support. 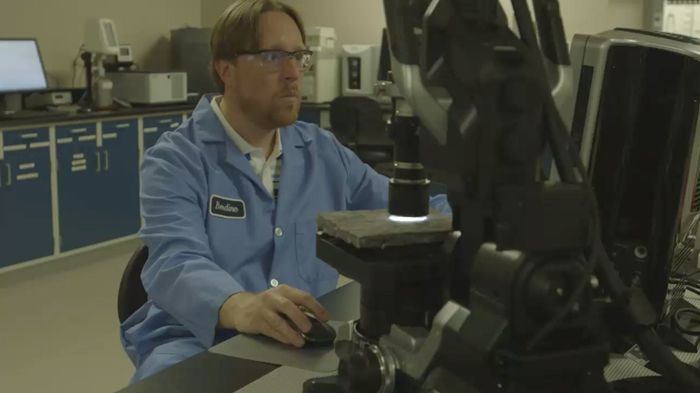 He drives research and innovation at UGN and in turn guides the company’s engineering team to develop products that answer local market needs. His engineering team is responsible for product and process development and validation as well as tooling and equipment specification and installation for all new manufacturing facilities to support new program launches. His team is also involved in the technical assistance within the organization and profit and loss responsibility. Nicolas began his career with Autoneum in Europe after receiving his master’s of engineering and research in 1993. He began his career as product engineer and moved to different locations in the U.S. and Europe, as program manager, product manager, and then technical sales manager before joining Nittoku in Japan as technical liaisons manager and later sales liaison manager. During his two last years in Japan, he was also deeply involved with the launch of a new facility in Korea, supporting the local engineering team on product, process, tooling, and equipment side. Nicolas holds a Master of Research degree from the École Central de Lille and a Master of Science degree from the École Nationale Supérieure des Arts et Industries Textiles. 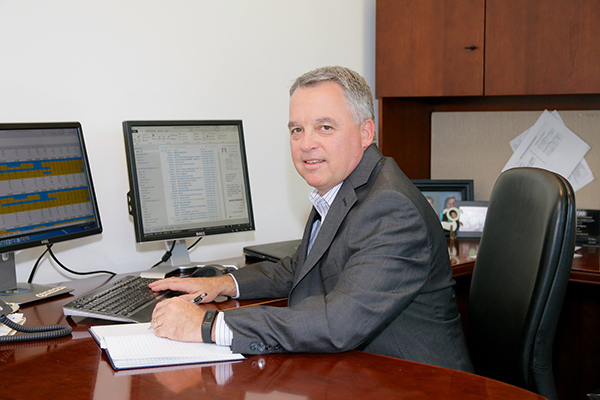 Vice President of Purchasing, Program Management, Quality Ron Myotte joined UGN in 2005 as director of purchasing and has more than 25 years of experience in the automotive supply sector. During his tenure with UGN, Ron has taken on additional functional responsibilities including purchasing, materials, quality, and program management. 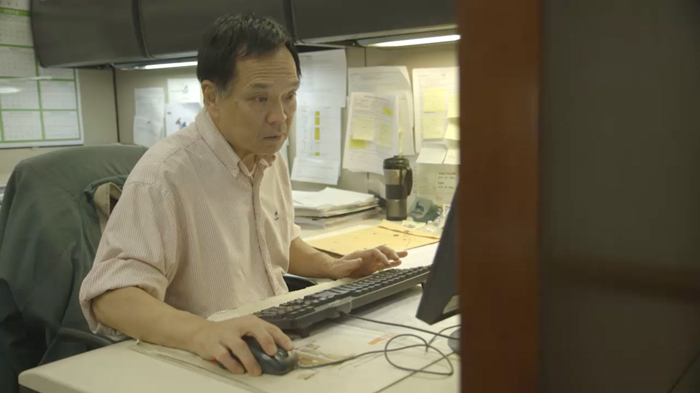 Ron spent eight years in procurement roles with Lear Corporation, a fortune 200 company. During his tenure, he was commodity manager for plastics, resins, fasteners, carpet, and acoustics. In this role, he achieved significant cost reductions, quality improvements, and supply optimization results. 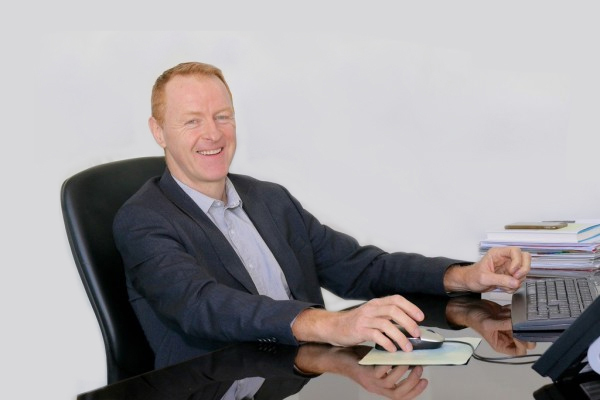 He worked with Alcoa Fujikura Limited for 10 years in progressive procurement and program launch/management roles. Ron attended the United States Military Academy in West Point, New York. He earned a bachelor of business administration from Alma (Michigan) College. He also has his certified purchasing manager designation, Six Sigma black belt certification, and has represented UGN in the Bluegrass Automotive Manufacturers Association (a Toyota Production System independent forum). Ron has a passion for excellence and executing value added solutions in all aspects of product and organizational processes. 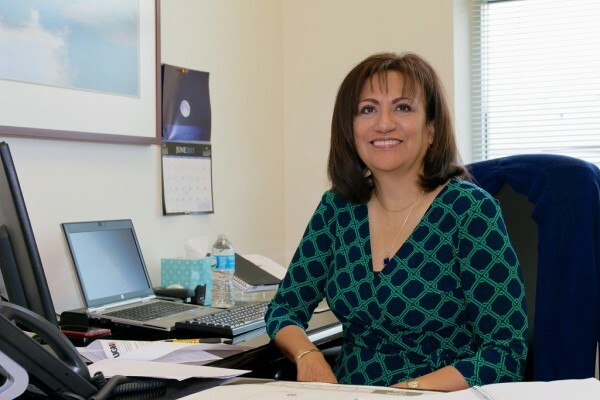 Vice President of Information Systems Esther joined UGN in 1998 as an IT Manager dedicated to improving UGN’s Information systems, optimizing technology architectures, and updating IT policies and strategies to support and successfully achieve UGN’s business objectives. Esther is a highly driven performance focused business leader, with a “can-do” attitude to drive results. Esther has 30 plus years-experience in management and technical leadership roles in Information Systems and Technology. Over the course of Esther’s career at UGN, she has held positions of increasing responsibility. 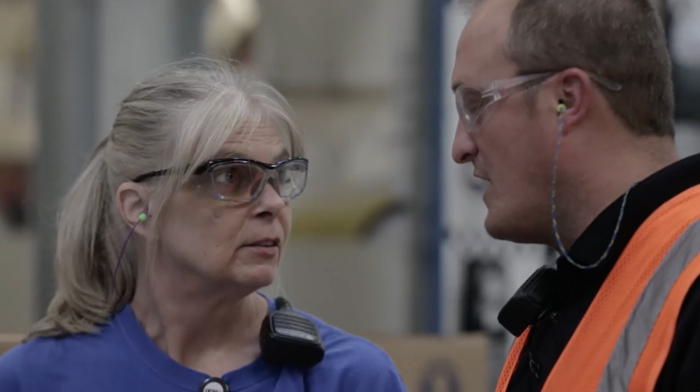 Jones was Manufacturing Manager at two UGN facilities where she was a hands-on manager with a drive to improve operational efficiency, support continuous improvement efforts, increase productivity and reduce cost. Esther is passionate in supporting, coaching and mentoring team members throughout the organization. Esther previously held the role of Director of Program Management and was responsible for developing program launch strategy, master product launch plans, and managing UGN’s program launch activity from design to Start of Production. With Esther’s diverse background, strong work ethic, and passion to succeed she brings depth of experience, technical skills, management capabilities and leadership to her current position. Today Esther is responsible for UGN’s ERP system, IT infrastructure, business data analytics, telecommunications, storage, IS/IT Governance, cloud-hosting strategy, database and related technologies. Esther works closely with the leadership team to ensure goals and strategic direction align with the business strategy. Prior to joining UGN, Esther was employed at Rieter Automotive, J & L Steel, and LaSalle Steel in various roles in Information Systems and Technology. Esther played key leadership roles and support of successful infrastructure and system improvement initiatives. 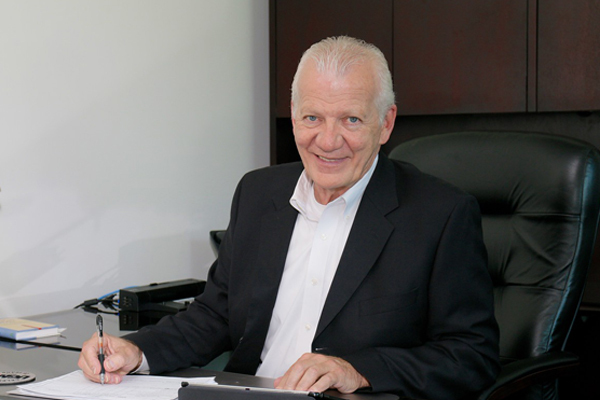 As Chief Operating Officer for UGN, Inc., Don Nelson brings over 30 years of experience in aerospace, industrial, and automotive manufacturing to the table. 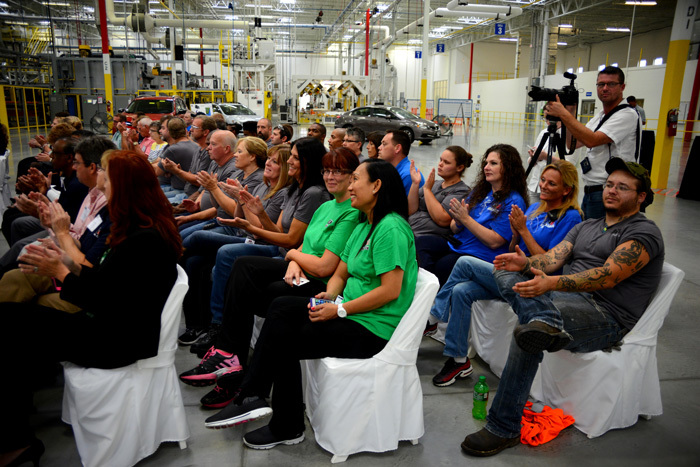 He also has a strong history implementing, supporting, and executing the lean manufacturing methodology, a best practice in automotive circles and a crucial component contributing to the ongoing success of UGN, Inc. He is a P&L leader known for instituting game-changing sales and operations processes. Prior to UGN, Don was the head of Global Operations for a $200 million publicly-traded manufacturing organization. In this role, he instituted Lean Transformation and Change Management principles which resulted in significant productivity increases and saved millions in annual operating costs. Don has a Bachelor of Science in Aerospace Engineering from the University of Kansas, and an MBA from the University of Missouri. Added to that, Don has completed the Harvard Business School High Performance Leadership program, and has degrees in New Product Development, and Strategic Management from the University of Michigan. Vice-President of Human Resources Kevin joined UGN in 2017 as vice president of human resources. 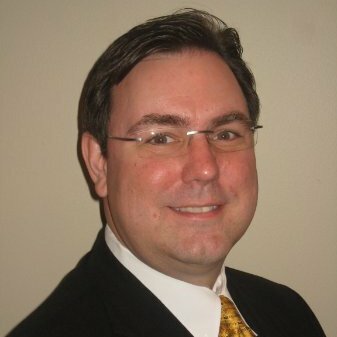 With over twenty years of HR leadership experience in world-class consumer packaged goods companies he will apply his expertise in talent management, succession planning, labor relations, employee engagement, leading change, and driving organizational performance to further developing the UGN team. 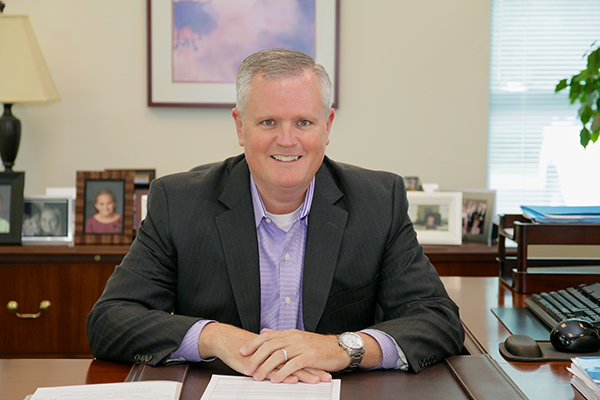 Prior to joining UGN, Kevin served as senior director of human resources at a $2 billion foodservice business unit in Lake Forest, Illinois. He instilled the organization’s standards and best practices across several acquired organizations. Kevin also spent 11 years in human resources at a $17 billion beverage company, where he led change management projects, built an employee engagement program, developed sophisticated recruiting initiatives, and improved team structure. These initiatives supported his former employer being named the 11th best global company for which to work.